The 87th Oscar nominations luncheon held in California, a famous actress Emma stone, julianne Moore, Marion cotillard and “small freckles” Eddie red mayne full-dress attended the luncheon. Julianne Moore’s rosy red dress is particularly eye-catching, simple suit with a pair of black high-heeled shoes, sophisticated yet elegant, she is full of godness atmosphere. Emma Stone’s striped shirt coupled with dot dress exhibition, she is full of literature feelings, yet it is full of small woman’s playful sense. Marion Cotillard is wearing a blue floral dresses, with teardrop shape green diamond on the chest, sweet and lovable. Reese Witherspoon’s white evening dress with simple elegant “Black Belt” which is to show the women’s elegant beauty. “Small freckles” – Eddie Redmayne’s slim dark blue suit, it is really handsome, clean, lovable man. 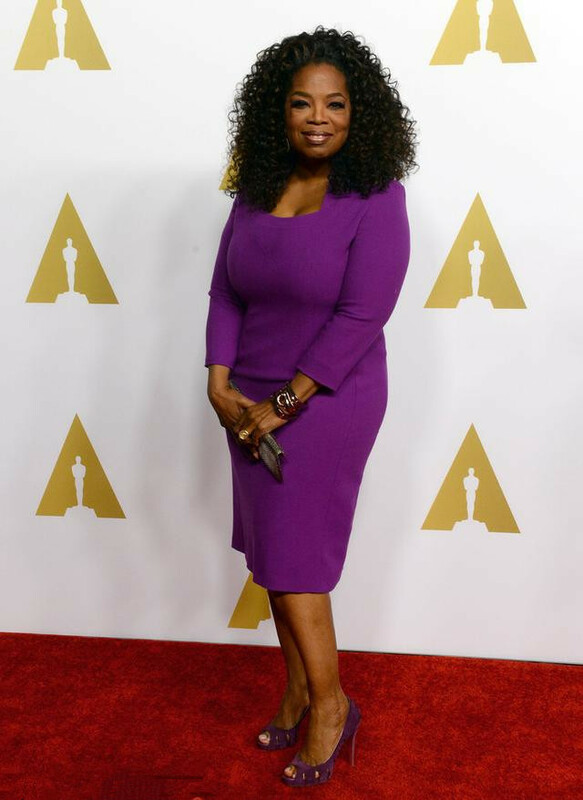 Oprah Winfrey this purple dress add more brightness for her skin, very eye-catching. Rosamund Pike white ball gown dress is very lovely. Felicity Jones the whole green with blue sequins sleeves, very capable. Solid color long evening dress is the best singhle itme to show women’s elegance beauty, Sciences Dawn Hudson’s this dark green long dress is extremely elegant. Bright dazzling blue short-sleeved dress is very eye-catching, Cathleen Sutherland this style is looks ten years younger. 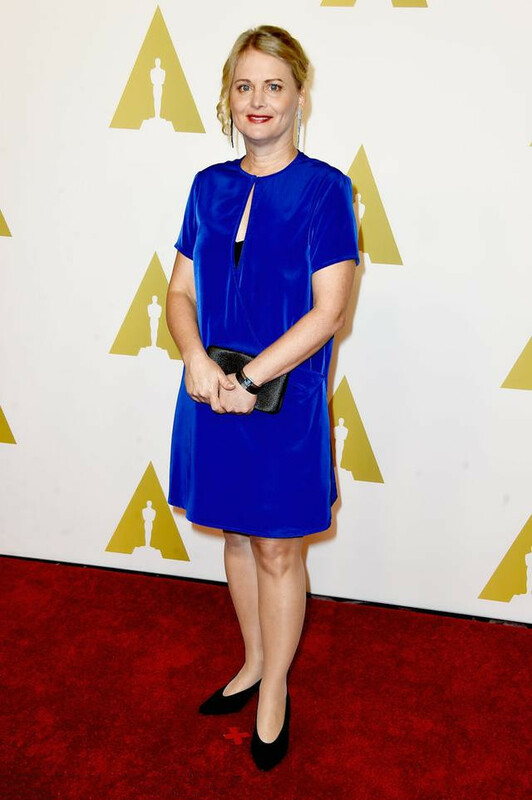 Patricia Arquette’s white style is very brisk, with black and white gradient handbag, so charming. 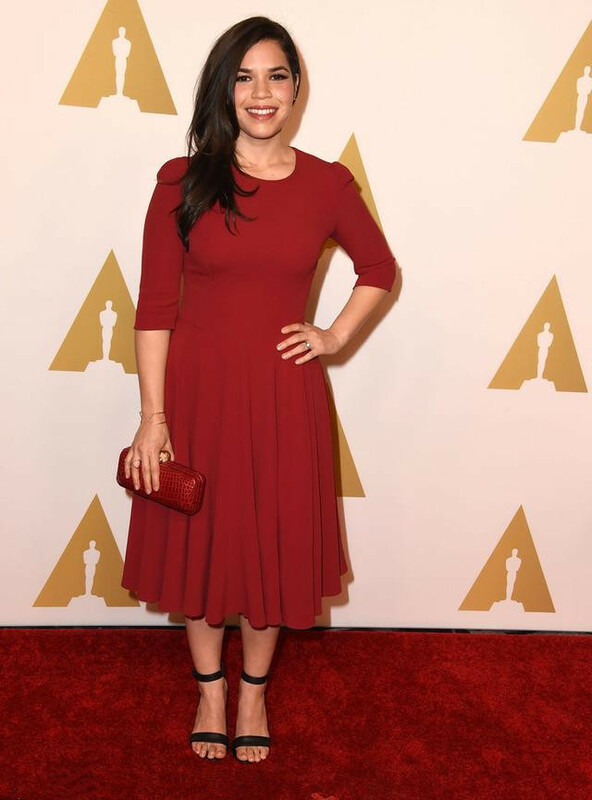 America Ferrera’s scarlet dress looks matured a lot, then with these dazzling accessories would be even more dynamic. This entry was posted in celebrities and tagged celebrity dresses, evening dresses on April 7, 2015 by admin.